Another finished baby quilt. I had published a tutorial about how to make this chevron Here. 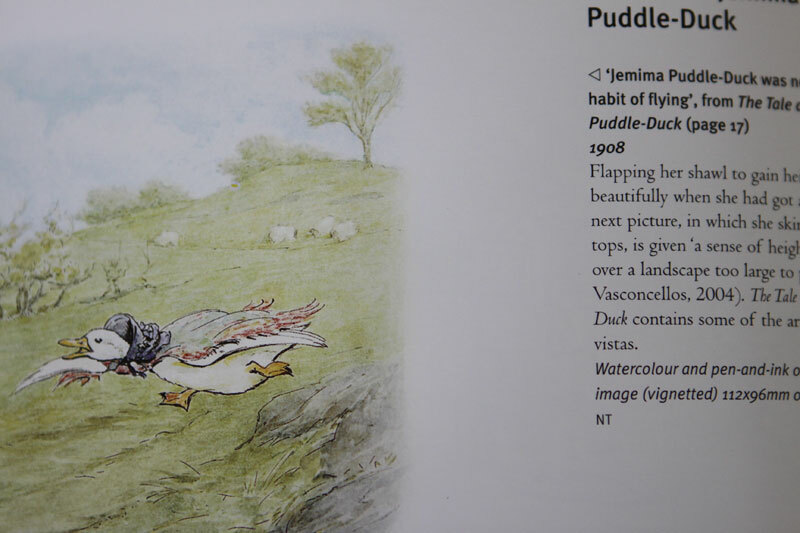 For the backing I chose a fabric print of Jemima Puddle Duck from a tale of Beatrix Potter, my "idole". 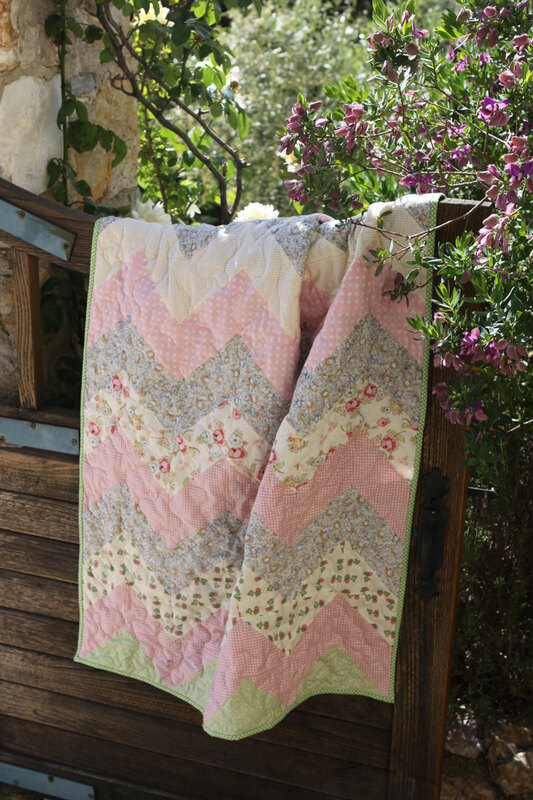 Another gorgeous baby quilt!! I love your fabric choices for this one. The touch of green at the bottom is just right. Are those roses from you garden? 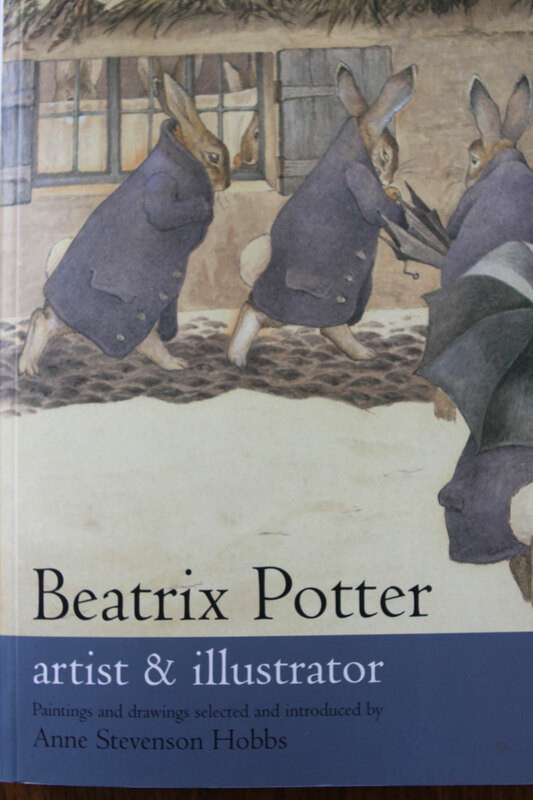 I love Beatrix Potters illustrations! I soooo enjoyed seeing this one again. Perfect post to rejuvinate under our book theme this week at TA. Your quilt is beautiful, and the photography is superb. Just lovely in every way. The fabrics and colors are perfect. The pink roses are breathtaking. Thanks for sharing. Very pretty Christine, I'm sure it will be loved. 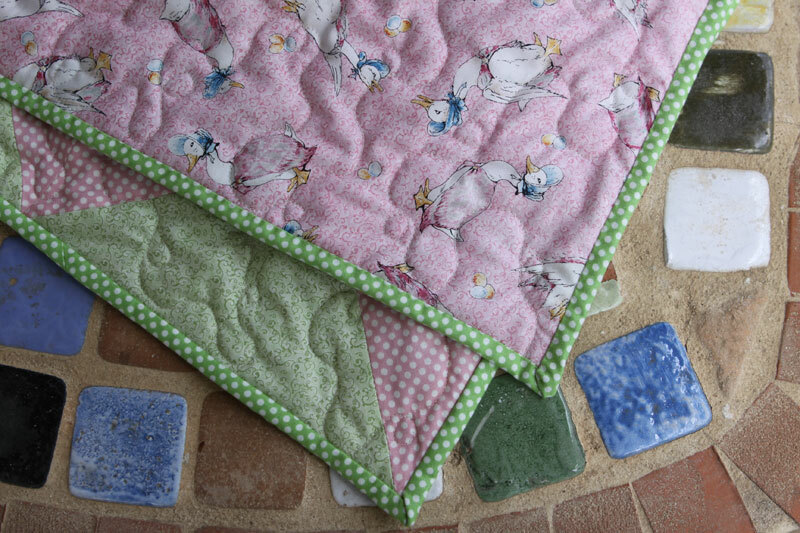 Beautiful quilt, just perfect for a baby girl. Un monde tout rose bonbon pour petite fille et avec les illustrations de Beatrix Potter, c'est tout a fait parfait ! Ce petit quilt est ravissant ! Délicieux petit tissu avec des roses, sous vos belles roses , j'ai "presque" le même acheté récemment ! 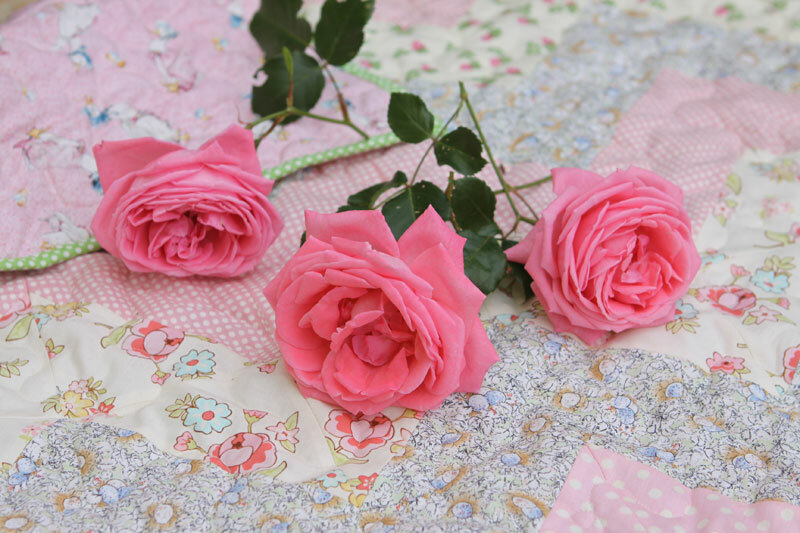 Such a pretty quilt, and beautiful pictures. What a lovely finish! The color pallette is beautiful and even more so with your photo display! I love the colors and how they go together. Really nice. My gosh this is the sweetest baby quilt! You truly have an eye for great fabric combinations Christine! That is a precious quilt. I love the chevron look. Thanks for sharing. Very very pretty! I love your fabric choices! Such a cute baby quilt! You can't go wrong with chevrons! 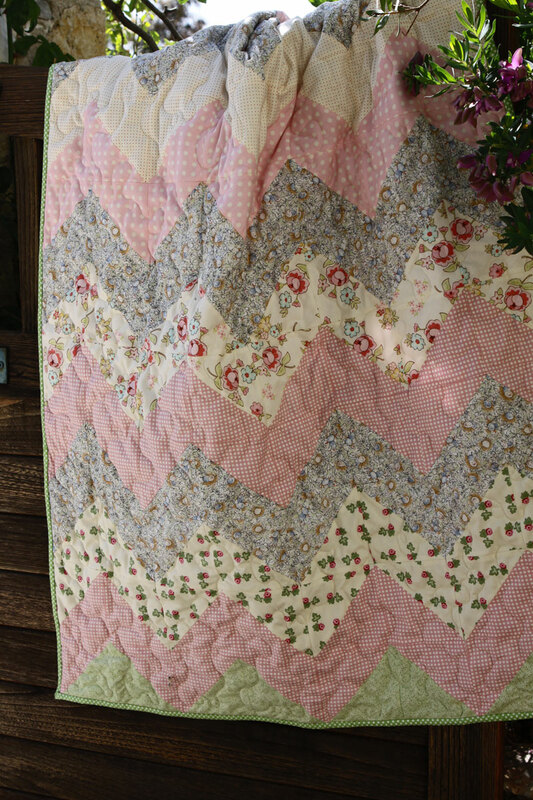 Pretty baby quilt! So sweet! I'm not a total novice but do need to know yardage amounts of each fabric including backing and binding. Can you share?? Beautiful quilt!! 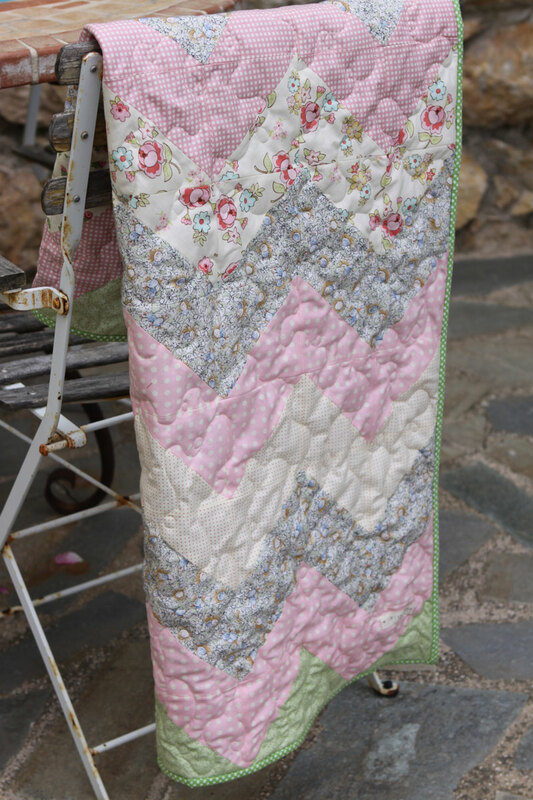 You can find the tutorial for this quilt by clicking on "here" at the first line of this post. 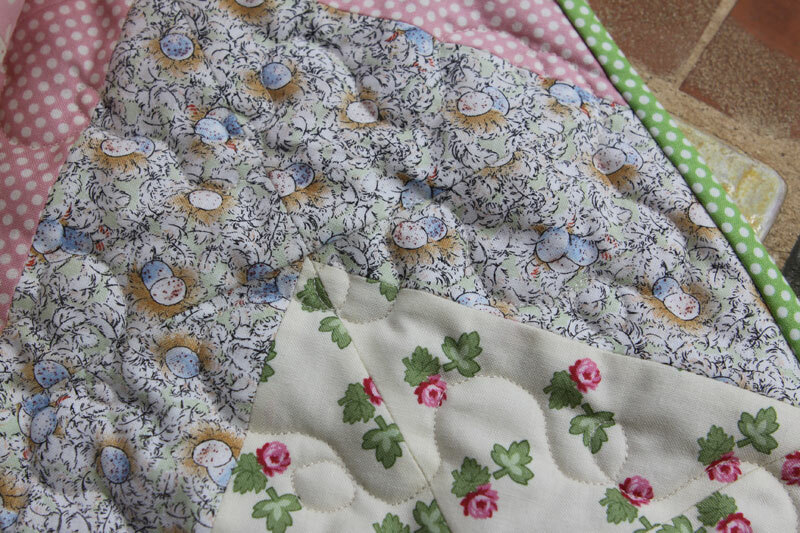 This baby quilt is so very sweet. 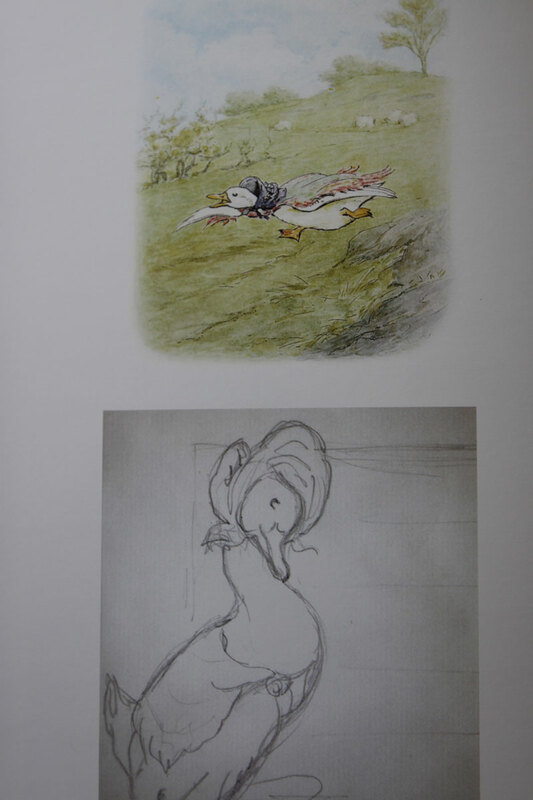 I used Beatrix Potter as the inspiration for my daughter's baby room so that's what drew me here from Val's Archives. She's my idol too! Such a sweet quilt! Was it for someone special? Thanks for sharing this at the Tuesday Archives! 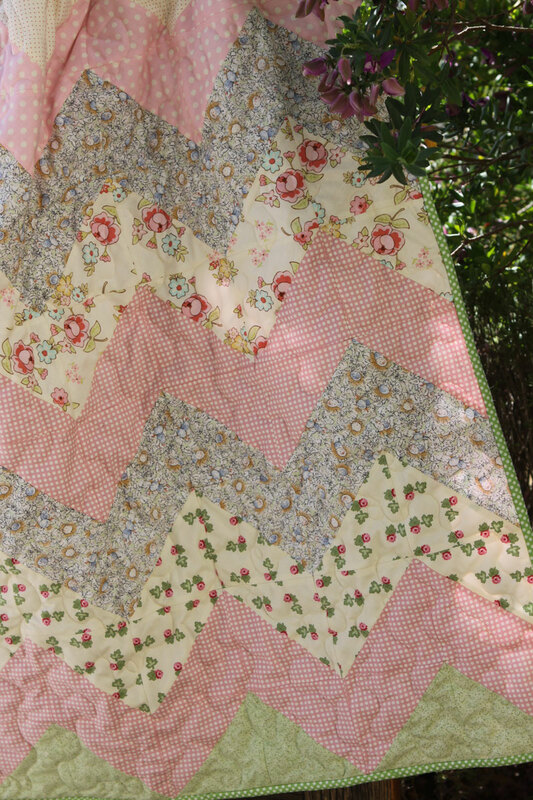 Chevrons and sweet fabric - who knew that the combination would be so striking?